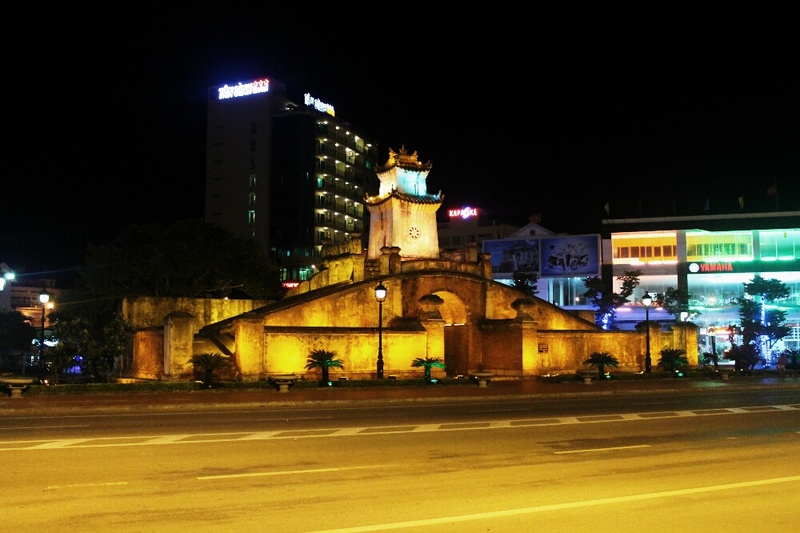 Dong Hoi, doesn’t have many restaurants, or cafes but what it does have is a good location. 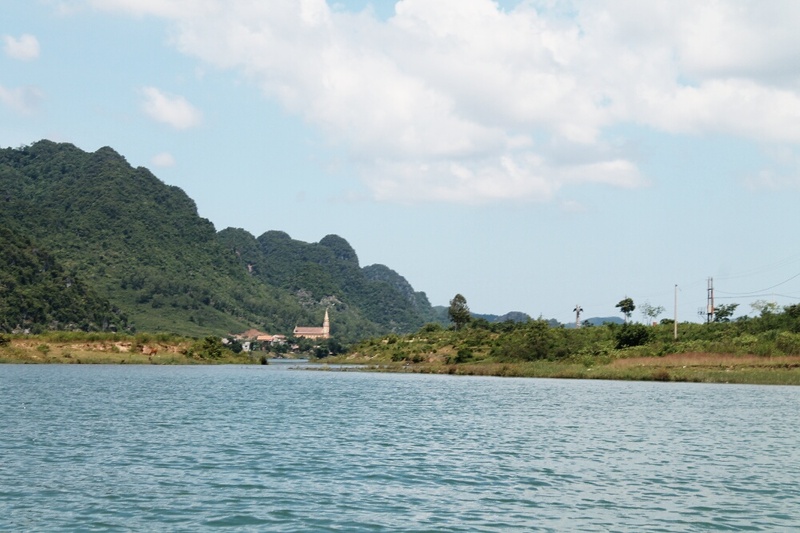 It’s a great place to use as a base to visit the Vinh Moc Tunnels (80km) and the Phong Na Ke Bang National Park (50km) so you don’t really spend much time in the town itself. 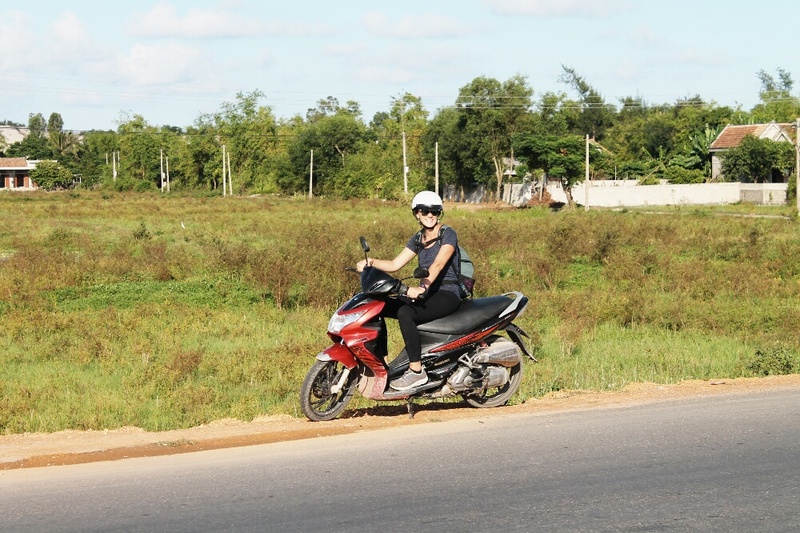 We hired a moped from our guesthouse and hit the road heading to the Vinh Moc Tunnels. It was an OK ride, with some nice mountainous backdrops but the road was tough, with many road works going on. It took about 2 hrs to get there and once you are about 15km away it’s very well sign posted, so no problems there. It only costs around $1 each to get in. 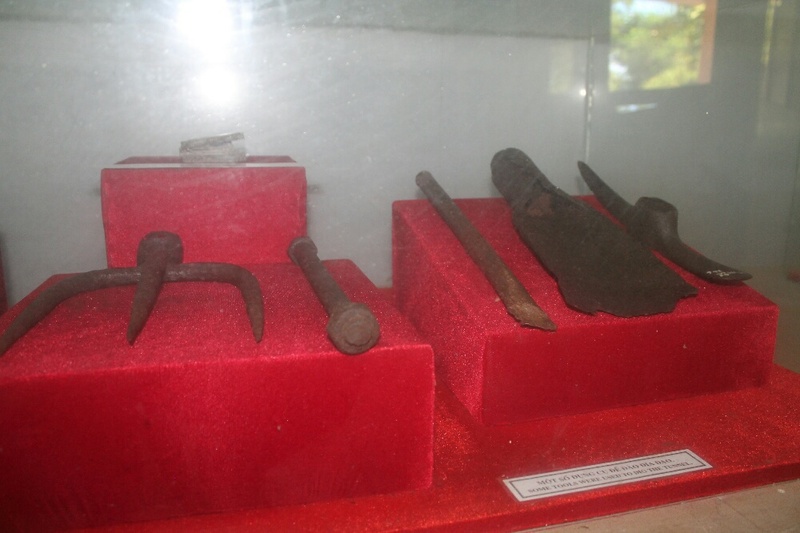 The tunnels were built during the Vietnam war and are very impressive, especially when you think that they were built from simple tools like picks and spades. 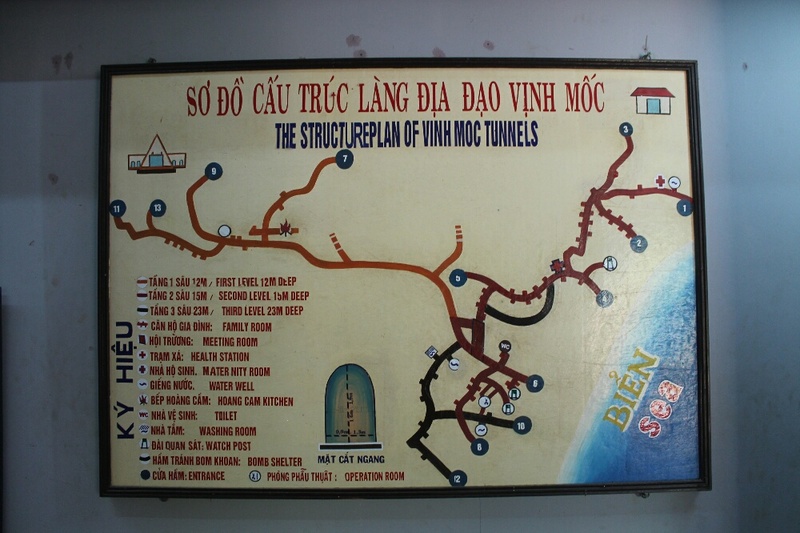 The tunnels are crazy, they go 30 meters (100 feet) deep, which kept the Vietnamese safe from the American bombings. It was constructed in several stages beginning in 1966 and used until early 1972. The complex grew to include wells, kitchens, rooms for each family and spaces for healthcare. Around 60 families lived in the tunnels and as many as 17 children were born inside the tunnels during that time. The tunnels were a success and no villagers lost their lives. 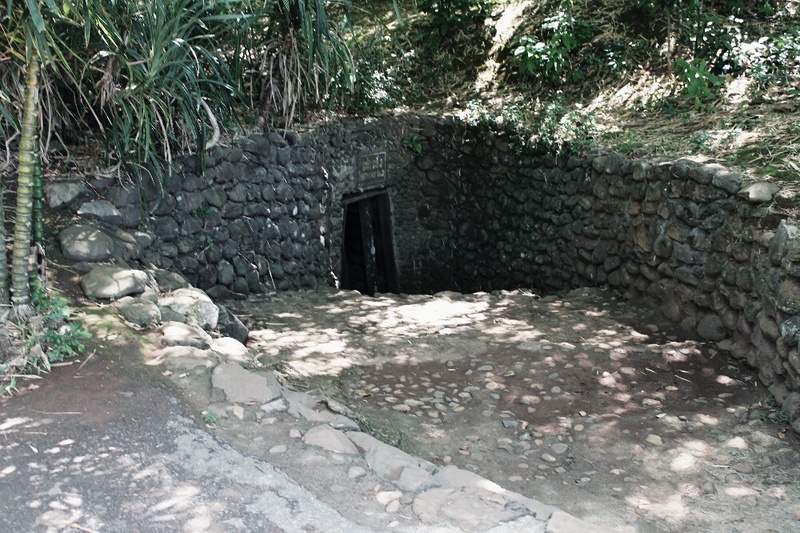 The only direct hit was from a bomb that failed to explode; the resulting hole was utilised as a ventilation shaft. I bet they felt proud of that one. We soon realised that we could do with another torch (Katie luckily had a head torch) because although there is some lighting down there, many stretches are pitch black. We had the place to ourselves and we stumbled around in the dark, taking any direction and turn that seemed to take our fancy. 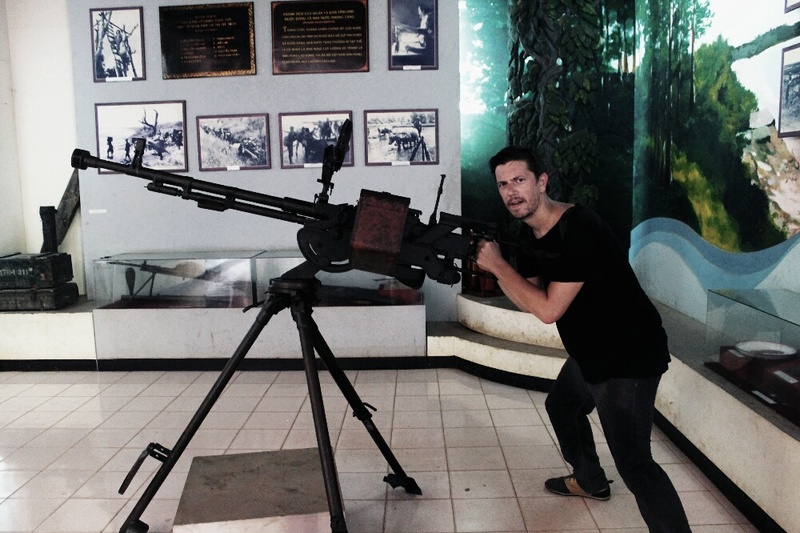 We saw sleeping areas, medical areas and the armoury. 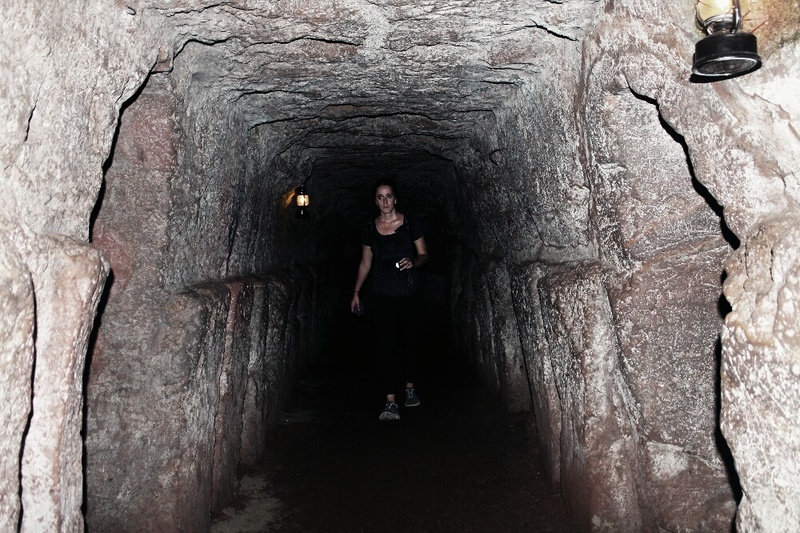 It was surprisingly hot in the tunnels, and I couldn’t stand up fully. As we were meandering through, I walked straight into the wall and bruised my head and cut my eye. Ouch! There were about 15 exits/entrance points. We found some of them and a couple took us to a nice secluded beach. If we had our trunks we would have dived in to cool ourselves down. 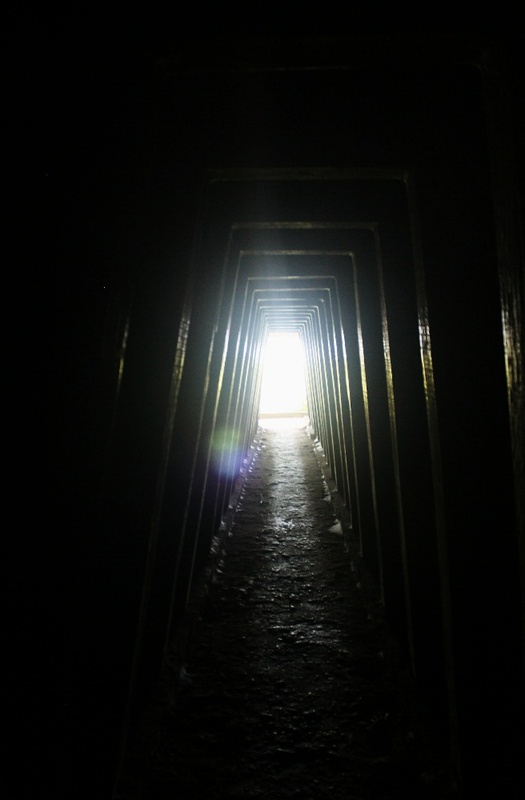 We finally left in awe of the tunnels which showed the incredible resourcefulness and the sheer will of the people to survive. 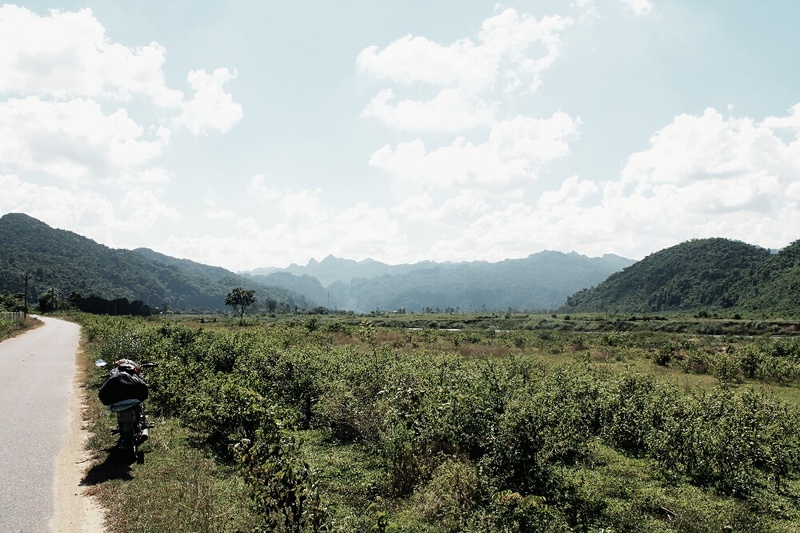 The next day we headed to the Phong Nha Ke Bang National Park. 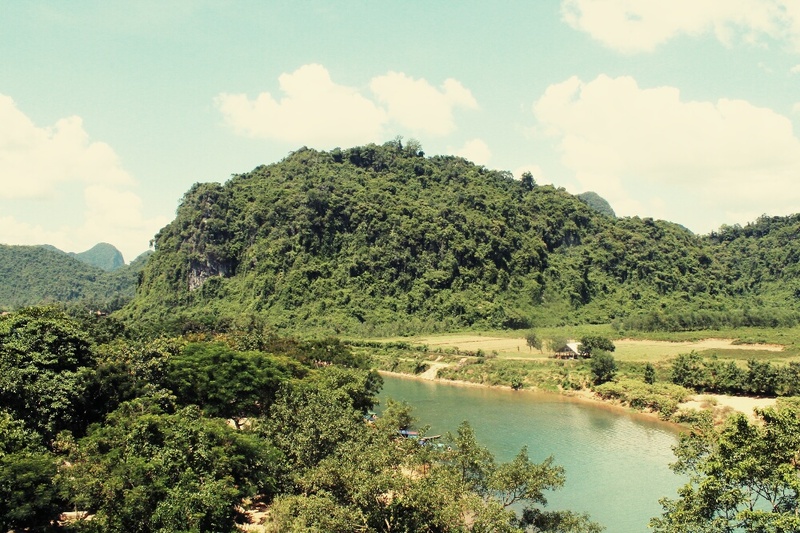 Here we wanted to see the famous Phong Nha Cave and Paradise Cave. 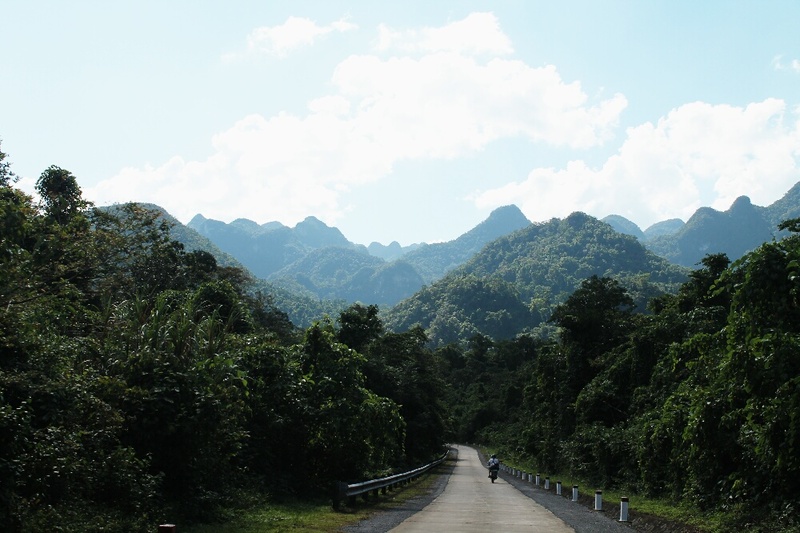 The ride was a much nicer through the East Ho Chi Minh Trail, a scenic route along a quiet road. It took about 1hr and a half to get there. 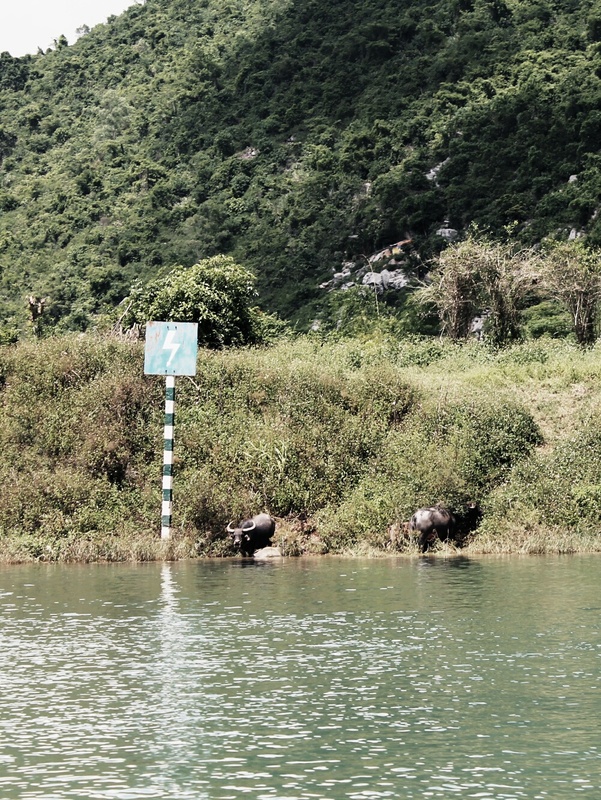 We had to take a boat to the Phong Nha Cave. It’s cheaper to share a boat which can take up to 10 people. 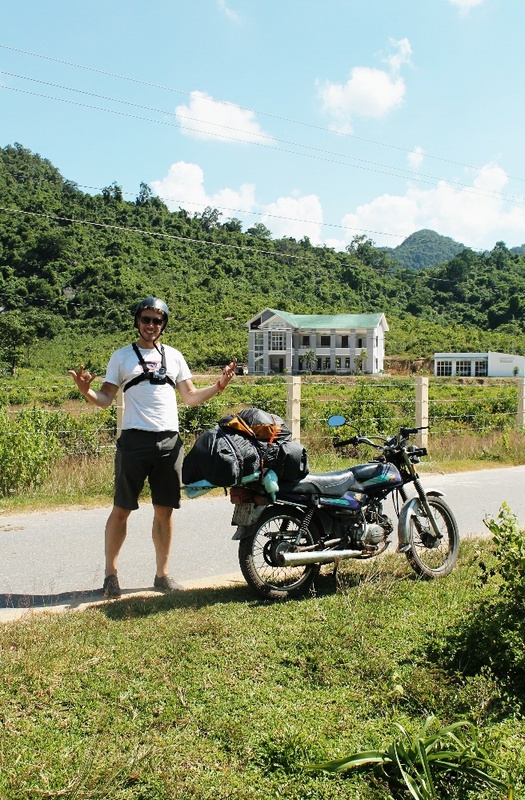 We met a nice English guy (Dan, who had spent the month riding his motorbike south to north) who arrived at the same time as us and split the cost 3 ways. 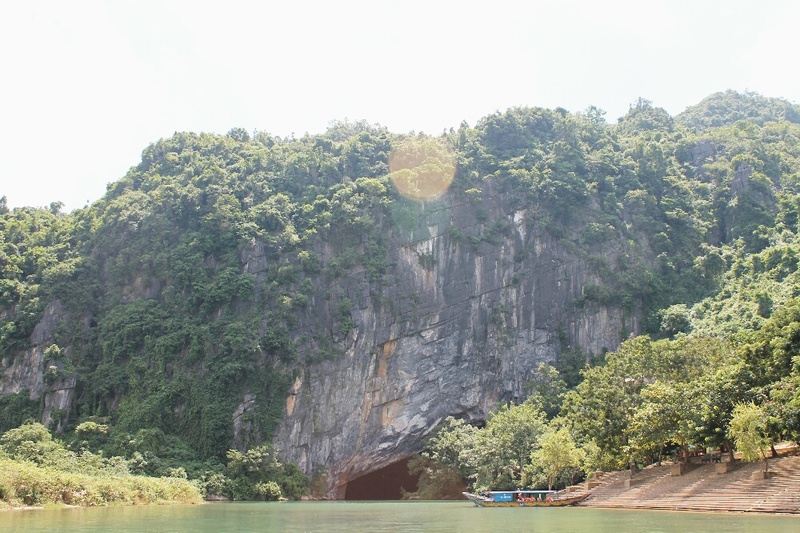 We started with a boat trip into this beautiful cave filled with stunning rock formations. The boat motors down to the cave entrance where the engine is cut, then paddles are brought out and the roof is drawn back so we could take in the immense surroundings. 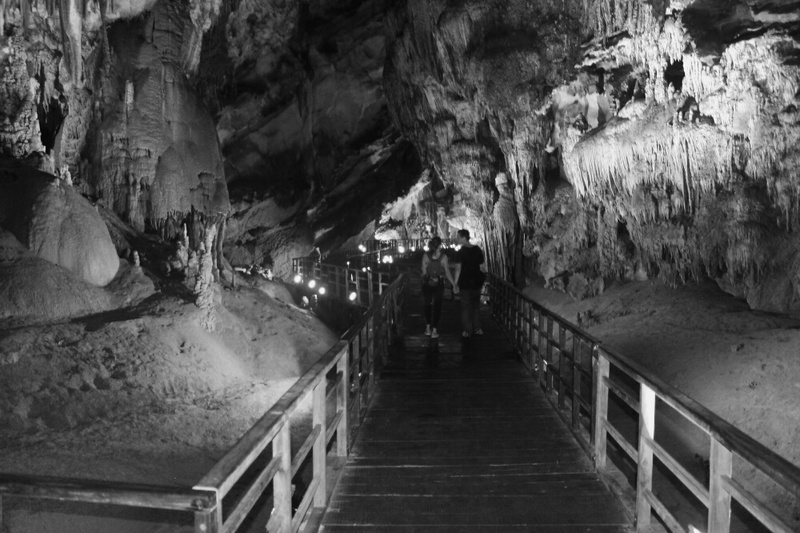 We rode through the wondrous natural beauty for around 1km before disembarking to explore the impressive grotto. I think at this point some photos will show you the rest. After we caught the boat back, the 3 of us grabbed some lunch. What’s in the menu? Mashed potato soup! I had to try it. When it was served it looked like…well Katie said I was gonna end up pregnant! We decided to ride together to the Paradise Cave (30km away). The ride through the National Park was awesome and we stopped a fair few times to take some photos. 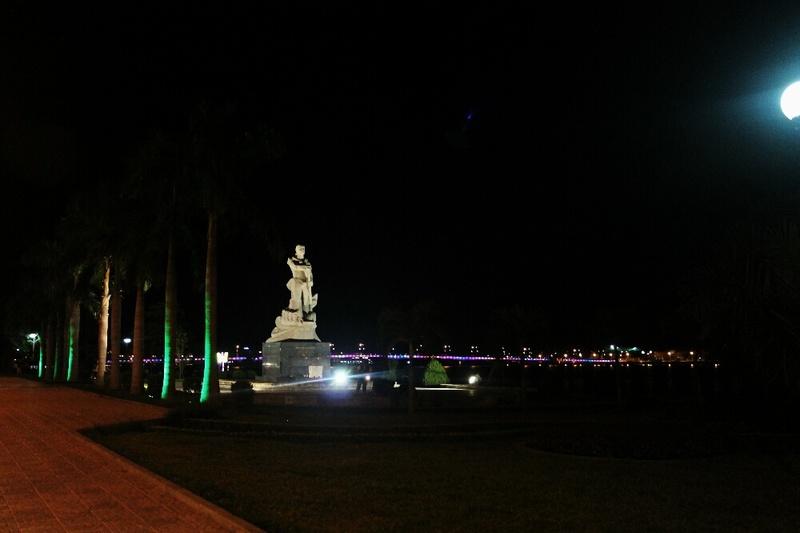 The backdrop was much like the rest of Vietnam; beautiful. We arrived and due to the heat, we paid extra to take a buggy which sadly only took us to the base of the cave, we had to walk up the hill to the entrance of the cave. 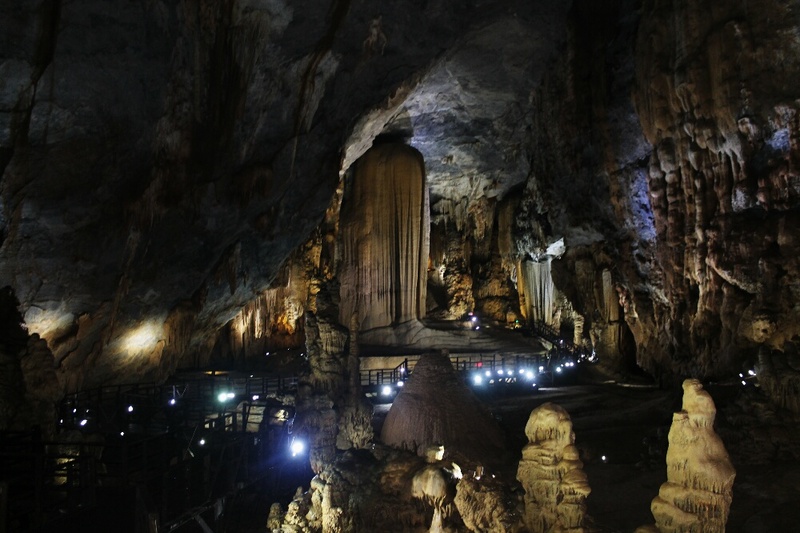 Paradise Cave is on a whole other level than Phong Na Cave. 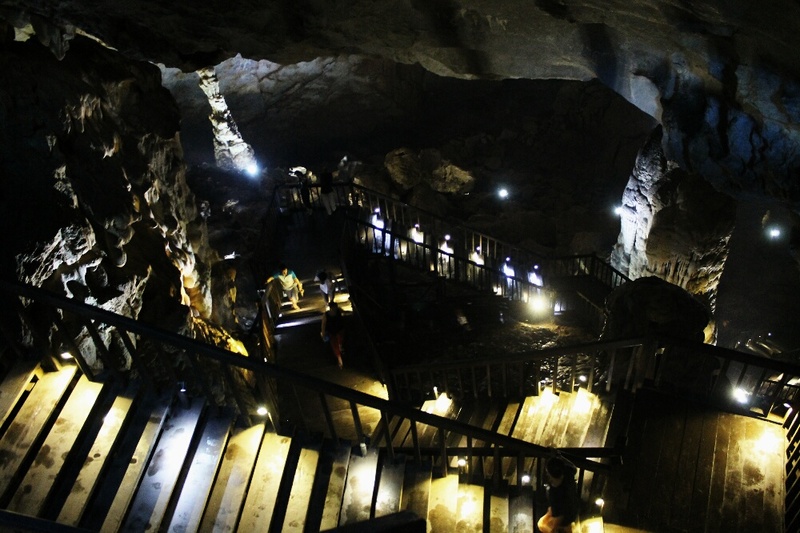 Walking down the wooden steps into the cave the first thing that strikes you is the sheer scale of the place. Quickly followed by a kind of sci-fi alien spaceship vibe caused by the LED lighting dotted around the wooden platforms and railings. The cave was deep and went on for 1000 feet and again like many of the attractions we have been to, it felt like we had the place to ourselves. Again, I think the photos will back me up. We had an amazing day, saw some more amazing sights and it was great to travel around with Dan and share stories of our travels. 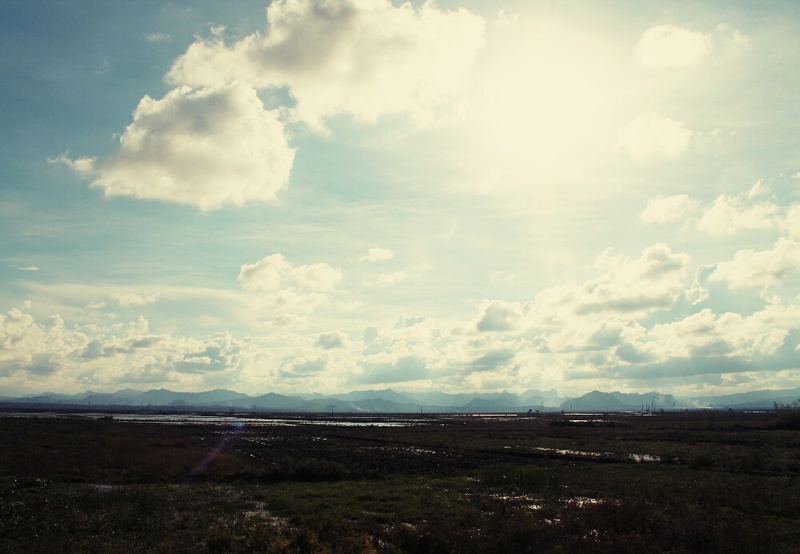 We had one more day in Dong Hoi to chill out and plan our next stop to Hoian which is about a10hr bus journey. 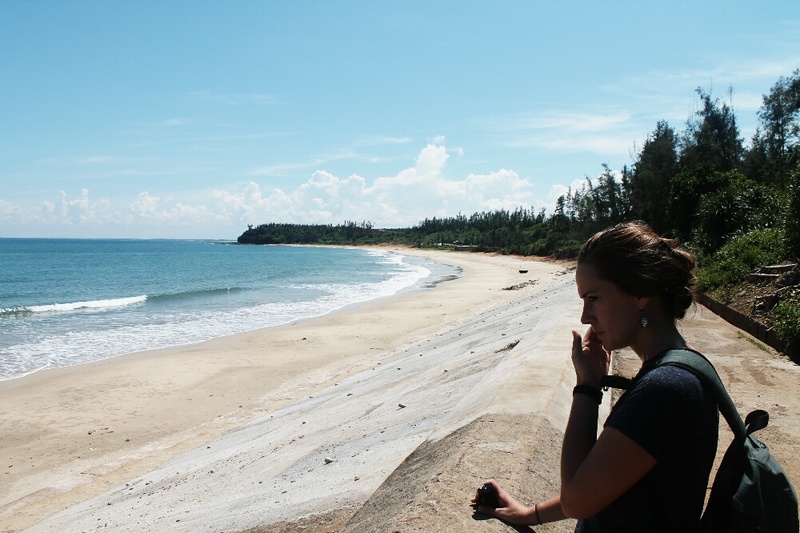 Posted on October 6, 2014 by themussmarter	This entry was posted in General MussMart News, Vietnam, Where are we now? 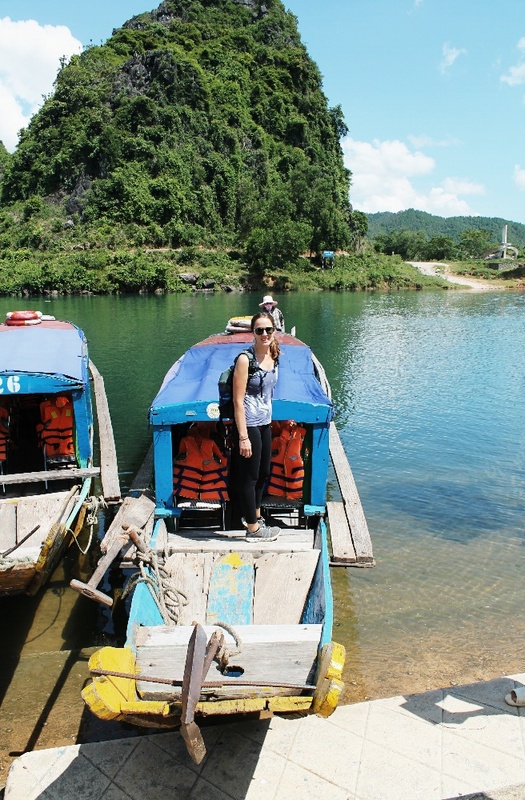 and tagged backpacking, dong hoi, Phong Nha caves, Phong Nha-Ke national park, travelling, Vietnam, vinh Moc tunnels. Bookmark the permalink. It is full of awesomeness, adventure, educational experiences and immeasurable social interaction. Ha ha. Carry on the adventure spirit! amen! ~standing and swaying with arms held high like a moving church service ~ miss your faces! keep on keepin on!